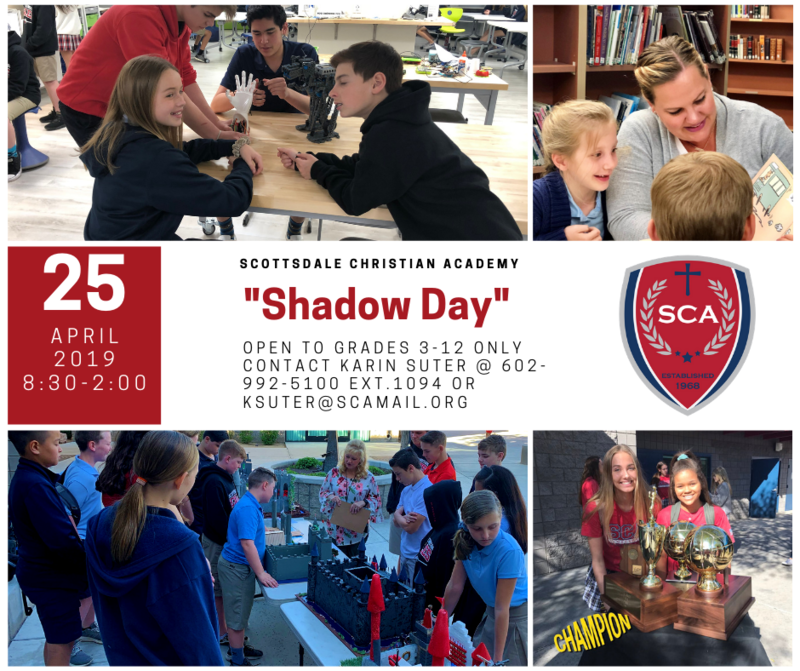 For the past 50 years Scottsdale Christian Academy has been fulfilling its mission to maximize the God-given potential of each student, preparing them to live lives of distinction, by impacting the world for Jesus Christ. From Preschool through 12th grade SCA teachers disciple and mentor students to wholistically develop through excellent academics, co-curricular and service opportunities. The Innovation and Creation Hub is a Makerspace; a physical location where people gather to share resources, knowledge, tinker on projects, network and build in the ultimate workshop. We are here to maximize your child’s God-given potential. Within our daily Bible classes, weekly chapels, small groups in our middle school and high school, elementary school Bible buddies program, and by biblically integrating a Christian worldview into all of our classes, we seek to disciple each child so they can encounter the living God each day. We are committed to the highest educational standards, strategically designing curricular and co-curricular programs to engage the whole student, and enable them to be the change agents of this new generation. Our championship level athletic program creates an environment where athletes are coached to compete at high levels from a Christ-Centered coaching model, competing as unto the Lord with all excellence! We believe future leaders need to be prepared with an appreciation and understanding of musical, visual and dramatic arts. Our Fine Arts program is consistently recognized as one of the premier programs in Arizona. “I love SCA because of all of the encouraging teachers. Greater than 98% of our students pursue a college or university directly after graduation. Curriculum focused on student success. 100% of our Faculty, Staff and Administration are committed followers of Christ. The Academy is blessed with some of the best teachers in the country. They are dedicated followers of Jesus Christ, lifelong learners, and have a true passion to teach! SCA teachers are committed to the mission of the academy, and seeing more and more graduates go out and impact the world for Jesus Christ. The SCA Podcast, which is known as the EagleCast, gives you a look inside SCA from the perspective of different individuals within our community. Hear from teachers, students, alumni, founders, and more! Where Are Our Graduates Going to College? Our students have opportunities to go to some of the best colleges in the country. Check out a sample of them below.